Neena has received her Doctorate in Extension Education from Indian Agricultural Institute and has worked through her career spanning more than 25 years in diverse domains. She has extensively worked with Indo Canadian Project, Asian Centre for Organisational Research and Development, Delhi University and Jamia Millia Islamia University., She has also lead projects supported by UNDP, DANIDA, World Bank's Water and Sanitation Program, Japan Bank of International Co operation, Norwegien Development Agency, Delhi Government, Ministry of Environment and Forests, Ambuja Cement, etc. Her work with diverse clientele across gender, socio economic profile, age and geographical location adds versatility to her outreach. She was inspired in 2004 to set up the Anubhav Learning Centre that is a centre of learning for children as young as 5 months to 12 years that also includes specially abled children. Neena is inspired by her father as role model and the centre promotes a blend of western and eastern philosophies of education that has a humanistic approach. A keen interest in Yoga and Naturopathy, Neena is extending this side of her personality to offer more to children and their families. 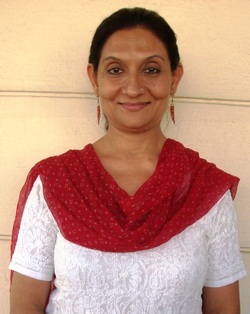 At SAHHEAL she is guided to initiate action by integrating health, education and healing to impact children and youth. Being a testimony of transformation in her own life, Neena wishes to contribute in enabling and empowering people to become happy and spread happiness despite the adversities of life to adorn each and every person with a smile. Neena’s contribution to children and young adults is in developing confidence, courage, conviction (in their inherent power), and compassion and with a strong sense of purpose and a compassionate CORPORitual growing spirit.